Welcome to the Your Health Journal web site (formally the Children’s Health and Fitness web site), maintained by Len Saunders. This web site will cover all areas (adults and children) of health, fitness, nutrition, and wellness. Saunders has authored seven books, as well as a contributing writer to such media outlets as Fox News, US News & World Report, USA Today, Yahoo, Sports Illustrated For Kids, The National Wildlife Federation, Muscle & Fitness, Working Mother, and Diets In Review. Saunders is also used as an “expert source” for The New York Times Company on a regular basis. We would like to thank you for making this web site one the most popular health and fitness web sites on the net. Google has given this web site a ‘great ranking’ in their search engines (example 1 and example 2) due to your support. Of course, it is great to see such reputable web sites as Red Orbit use this web site as a reference tool in their articles. Recently, you may have seen this blog written up in the very prestigious Psychology Today magazine. Currently, this web site is divided into 10 categories. 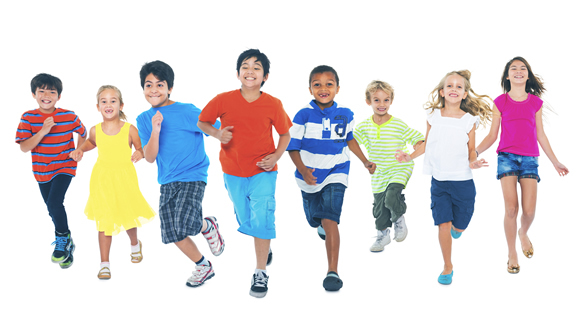 The Childhood Obesity Causes category are opinions from professionals on the rise of obesity among our youth. The Editorials category are just thoughts from Len Saunders on the topic of health and fitness. The Guest Posts category are articles written by some special authors on the topic of health, fitness, or wellness. The Health Headlines category discusses the current events in the world of health, fitness, wellness, and obesity. The Healthy Tips category simply gives health, fitness, nutrition, or wellness tips from experts and parents. The If I Knew Then What I Know Now category is where adults teach children lessons from their own experiences while growing up. The Reviews / Giveaways category will discuss various health related products with reviews and giveaways of the merchandise. The Tech Tools category will help owners of health and fitness web sites learn ways of improving their SEO, Alexa ranking, and Google page ranking. The Role Model In You category are interviews with Olympic gold medalist, NBA players, Super Bowl champions, actors, and other professional on who inspired them as a child to lead a healthy lifestyle. The Videos category has interesting and educational videos pertaining to healthy lifestyle. I hope this web site becomes a popular reference for your health and fitness needs. Feel free to place our logo and link on your web site. Many pages on this web site will provide links to the original source. This web site cannot be responsible for any ads on these pages or links that stop working. A short disclaimer…..The Your Health Journal web site is for advice and information purposes only. It is meant to be an educational site. Opinions expressed by other individuals on this web site through guest posts or comments does not mean the creators of this website support their opinions or products. In fact, anything written on this site does not mean it is endorsed by anyone affiliated with this web site! Although we try to do checks of anyone who contributes to our site, we can also not be responsible for any false information they give, whether in their title, or facts they send. If you see an error, please send an email, and we will fix it immediately or remove an the article. Also, this site is a non profit site. Anyone participating in an exercise program does so at their own risk, and should be healthy and medically cleared by a doctor. If not, seek out medical guidance prior to engaging in any type of physical activity. Increased physical activity may be dangerous for some people. The creator of this web site assumes no responsibility for any accidents, injuries, or damages as a result of any person’s voluntary participation in any exercise activities or events. If you use material from this web site, please contact Len Saunders.